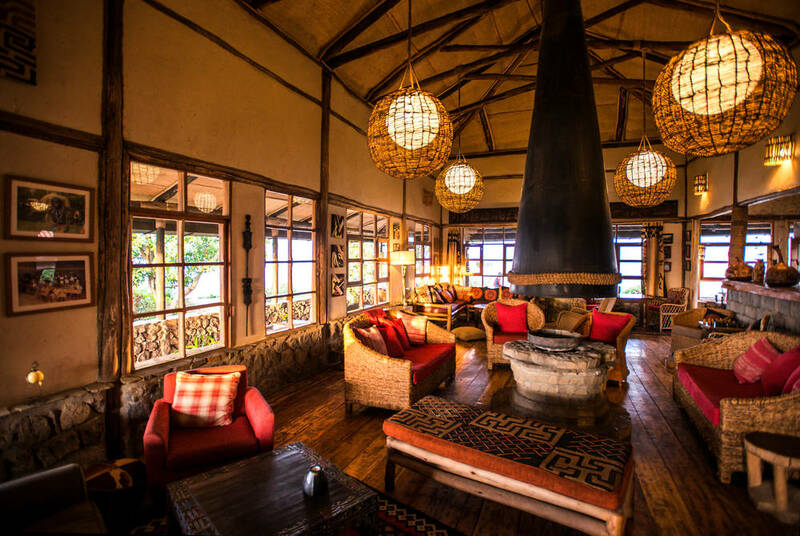 Perched high on a ridge, amid the verdant hillside of Rwanda’s Parc National des Volcans, is the sumptuous Eco-Safari Lodge, Virunga. From vast mirror-like lakes to dramatic volcanoes, the lodge’s tranquil isolation allows for unmatched panoramic views of the wild natural surrounds. Here, guests will be treated to an authentic stay in the heart of gorilla land with the added luxuries of a complimentary massage, boot cleaning, laundry services and even a personal butler. 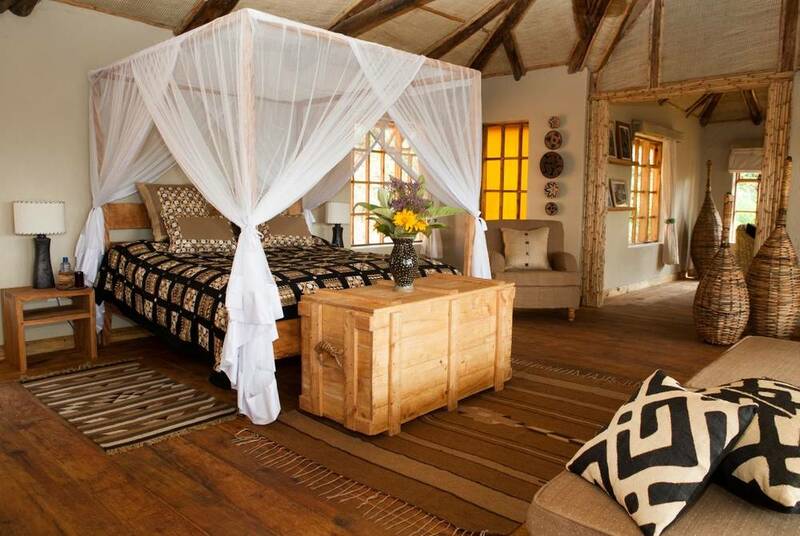 Each of Virunga’s 10 lodges boast their own private stone terraces – the perfect spot for soaking in surrounding views – and are individually decorated in traditional Rwandan style. The neutral, earthy tones of the walls and floors are offset by vibrantly patterned soft furnishings, elegant four-poster beds and open fireplaces. Dining at the Lodge reflects the community ethos that they have here as all guests are seated around the one chunky wooden table. And, from one intimate setting to another, after dinner guests can curl up by the fire in the deliciously cosy lounge. 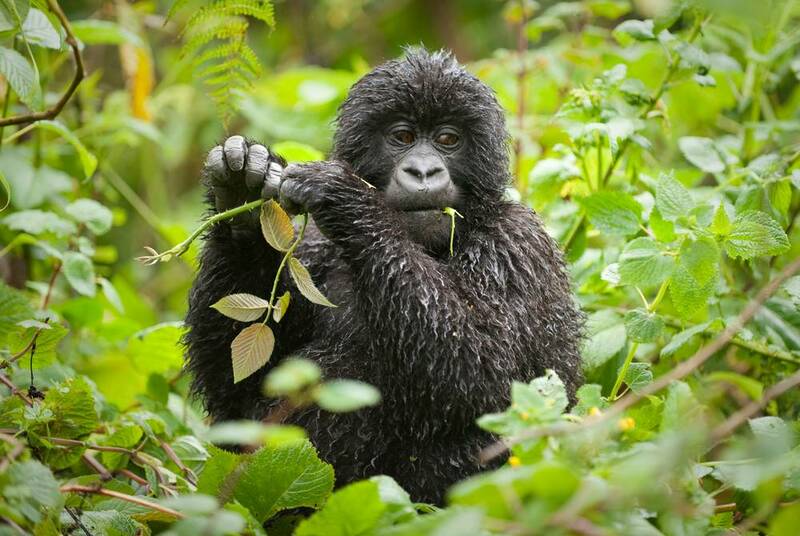 The main attraction at Virunga is of course the opportunity to go gorilla tracking in nearby Musanze. And, with a whole host of other activities on offer, the adventure doesn’t stop there. 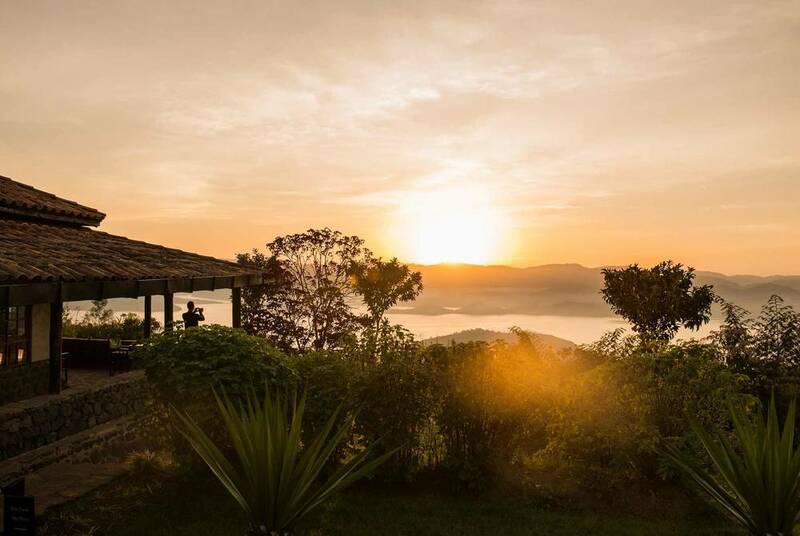 Think golden monkey tracking, volcano climbing and visiting local villages – this is Rwanda at its rustic best. 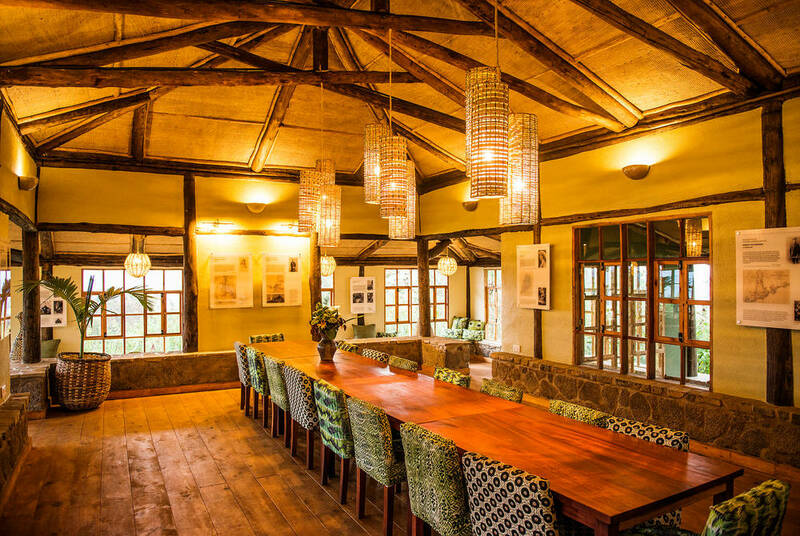 This stunning hotel is the first ever community-owned lodge in Rwanda, perched on the edge of the stunning Parc National Volcanoes, the gateway for the once-in-a-lifetime experience of tracking mountain gorillas. 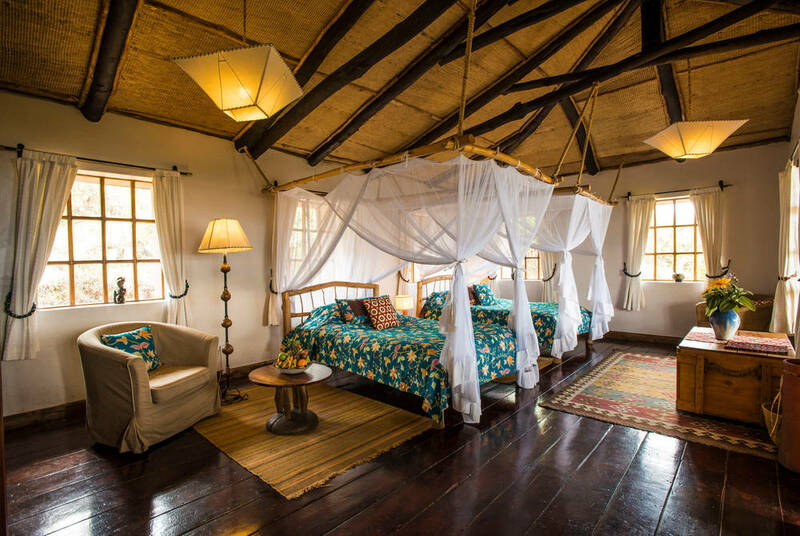 In the centre of the Volcanoes National Park, the Five Volcanoes Boutique Hotel is beautifully set in landscaped gardens looking over the undulating mounds of the stunning Virunga volcano range, and just moments from jungles dense with mountain gorillas.